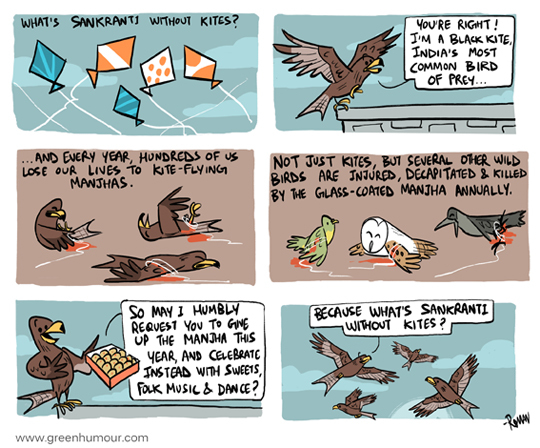 A Black Kite makes a humble appeal this kite-flying season. Wishing Green Humour readers a happy Sankrant/Pongal/Uttarayan. From my column with Mid-day.